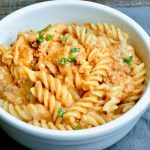 Cheesy Taco Goulash Pasta comes from my moms recipe for goulash but with a twist. Full of lots and lots of cheese this is the ultimate cheesy goulash recipe for cheese lovers! 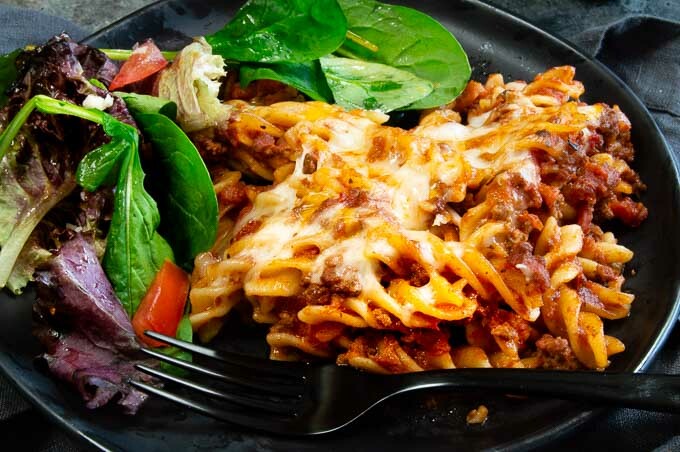 Its a little bit (or a lot if you add extra chilis) spicier than moms but it still has all the gooey melty cheese swirled throughout the pasta with zesty taco seasoned beef. LIKE CHEESY TACO PASTA? PIN THIS SO YOU HAVE IT HANDY WHEN YOU NEED IT! Traditionally Goulash is a Hungarian dish. It was baked with stewed meats, vegetables and paprika. A simple explanation of Hungarian goulash is found here on a site from Budapest Locals. It has evolved over the years and as it’s been transformed into something completely different if you use the word goulash in America. 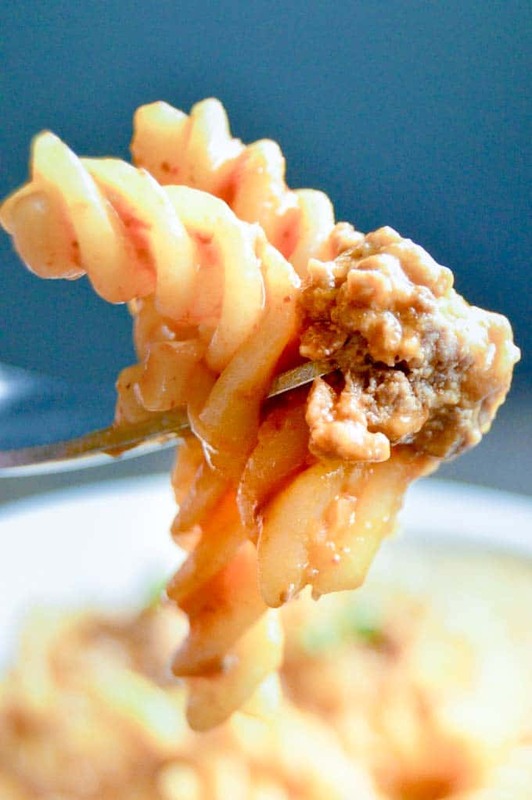 When Classic American Goulash is mentioned we tend to think of a ground beef pasta recipe with tomato sauce and a lots and lots of melty, gooey cheese. 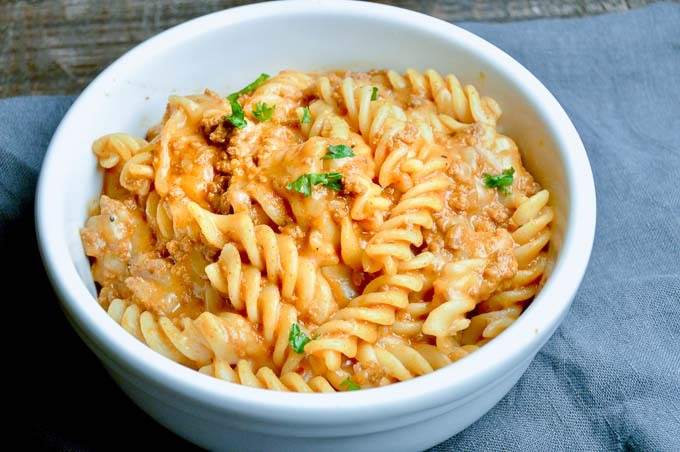 My recipe today for Cheesy Taco Goulash Pasta is more closely tied to the American version. As you can see from the list above all of the ingredients you’ll need tomato traditional cheesy goulash are items you’ll probably have in your pantry. There are only a few substitutions if you want to make a taco pasta goulash or what we often call Mexican Goulash. 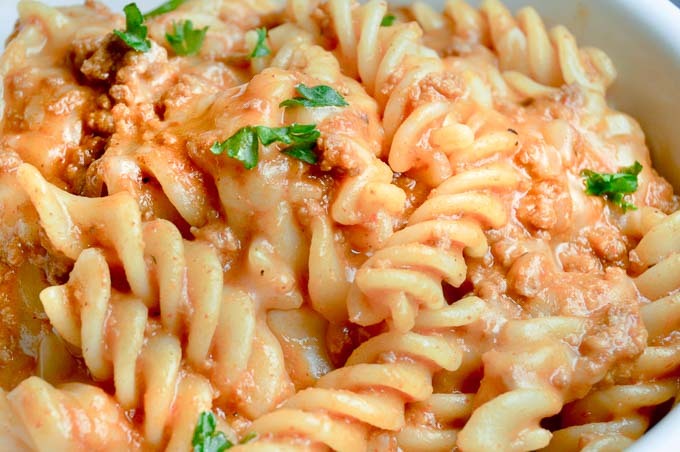 How do you make easy cheesy goulash into taco flavored pasta? Goulash is such a simple recipe for mac and beef you will want to make it all of the time! It can be a one skillet meal if you want although in the interest of time I usually boil the pasta separately from the rest of it in the interest of time. Boil the pasta until al dente. Pay special attention to make sure its not over cooked as when you bake the goulash in the oven it will continue to cook and nothing is worse than mushy pasta. Sauté the onions, starting them first so that they are slightly. Add the ground beef, using a wooden spoon to break up the beef into smaller pieces. Add the taco seasoning, water and rotel tomatoes and let the meat simmer. Add the pasta sauce and tomato soup to the pasta to combine. Add the meat mixture into the pasta, stirring well. Add the bulk of the cheese (a little bit of each kind) to the pasta, stirring well. I usually bake in the stock pot, but you can put them in a baking dish if you wish. Bake until the cheese is golden brown and bubbling. Garnish with parsley if you wish and serve! Can I make cheesy goulash(taco style pasta) ahead of time? Yes you can. Pasta with meat sauce is a great dish to make ahead. This dish can be made ahead and then either reheated or just baked until cheesy melty goodness starts to happen. I actually think its much better if it has time to rest before baking it. It allows all of the juices and flavors to really get into the pasta for a full blast of flavor. How can I serve Cheesy Taco Goulash for company, is it too boring? This recipe for Mexican goulash is an easy recipe to make for guests. While I love the traditional American style recipe, the taco seasoning along with the spicy cheese make for a full flavor comfort food that is zesty and fun! Your company will love the twist on the flavors, especially all the melty cheese and dont worry, it will be our little secret at how easy it is to make! What to serve for side dishes with taco pasta? 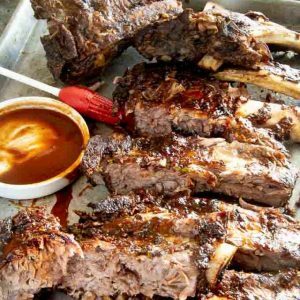 This recipe is great for having company at the last minute because most things in this recipe are ingredients that you have on hand. 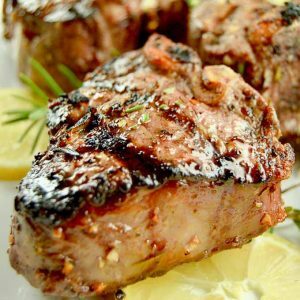 Serve it along with a simple salad (here’s a great simple balsamic vinaigrette recipe) and some cheesy garlic bread and you’re set for the evening. When serving taco goulash for company what can I serve to drink with it? Pair with your favorite red wine. I have really been in to Chiantis and Malbec’s recently, both work well with the tomato sauce and cheese in this goulash recipe. My company is not a fan of spicy foods can I make a mild version of this? This taco goulash can be made milder by using a mild version of the rotel tomatoes and green chilis or substituting regular diced tomatoes in the recipe. The taco seasoning itself is enough to make it a Mexican goulash. You can also all regular cheddar cheese instead of the pepper jack/cheddar mix. Can I make this pasta a little bit healthier? You could make this pasta a little healthier by subbing ground turkey or ground chicken. If you are watching your carbs, you could cut down the amount of the pasta called for and have more protein to carb ratio! 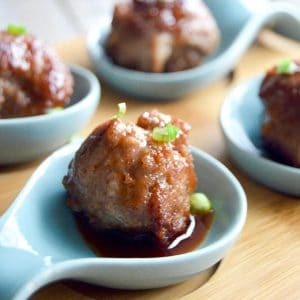 Looking for other last minute meals you can put together for dinner for guests? 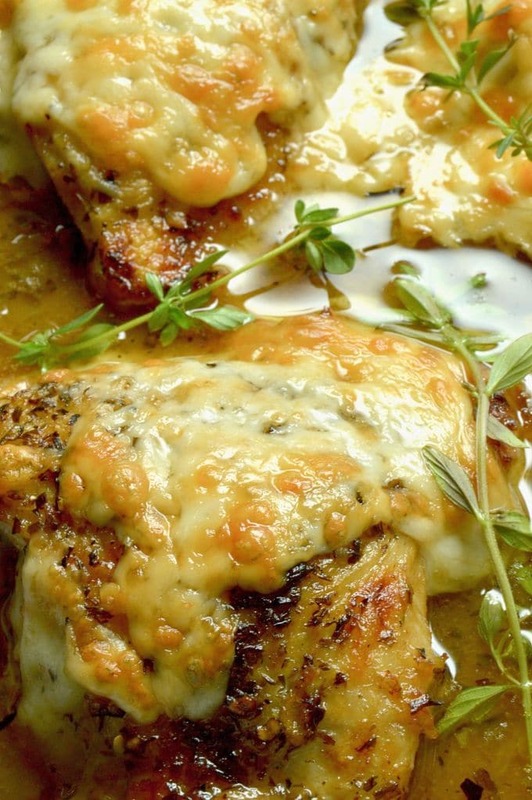 Check out my recipes for Pesto Pasta, Grilled steak with Bourbon Butter and this easy French Onion Chicken! 1 pound dried corkscrew pasta or your favorite! Bring a large stockpot to boil then add pasta and cook until al dente. Pasta will get too mushy when all mixed together with sauces so resist the urge to cook to soft. Once cooked, drain and set aside. While pasta is cooking in a small skillet heat pan to medium high and add olive oil to coat. Cook onions for 1-2 minutes until clear. Add hamburger and cook for 5 minutes, breaking down meat to crumbles. Add 1/2 packet of taco seasoning and cook for 5 minutes. Add canned tomatoes with juices and 1/2 cup water. Continue to cook for 15 or so minutes until the liquid has absorbed. Remove from heat. Add tomato soup to pasta, stir to incorporate. Then add hamburger mixture to pasta and stir. Then add pasta sauce and stir well. reserve 3/4 cup cheese. Add the rest of the cheese in 2 parts to allow the cheese to mix and melt completely. If serving immediately from the pot, you can just sprinkle the last 3/4 cup of cheese over the top and serve right out of the pot. If making ahead at this point you will want to place the pasta into a casserole dish before adding the cheese. Sprinkle cheese over the top. Allow to cool. Once cooled, cover with foil and place in the fridge before you are ready to serve. When making ahead remove from fridge and allow to come to room temperature. Remove foil and bake for 30 minutes at 325° or until cheese is bubbly and golden brown. If you don't want the pasta to be super spicy, use more cheddar than pepper jack. Or have it all pepper jack. You can also use regular diced tomatoes instead of spicy tomatoes to reduce the heat. This is the combination of my two favorite things!! Pasta and tacos! This sounds like the perfect comfort food! I love the combo of goulash and tacos! Since my son moved out I’ve been sharing dishes that I know he’ll love and that are economical. This is perfect and the spicier the better! This Hungarian-American-Mexican fusion goulash sounds amazing to me. 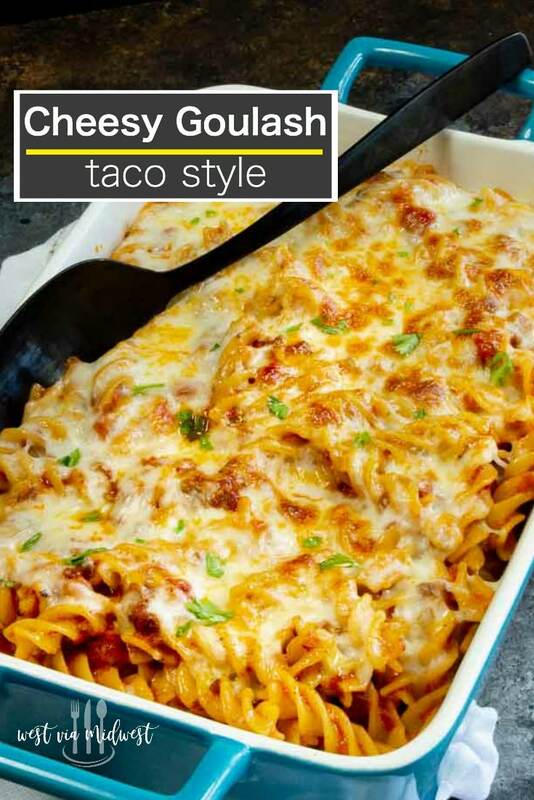 I love a good cheesy pasta – it’s like my favorite comfort food – and the taco seasoning sounds like a great variation! Perfect meal everyone will love! It’s and delicious, yum!!! My mom made goulash when I was a kid – it’s total comfort food. I love the update with Mexican flavors. Nice work. Your post is so informative and useful. I read through the whole post and got to learn so much. Your recipe looks so warm and inviting. 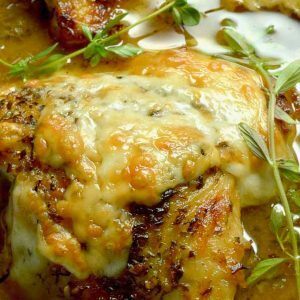 I am a huge sucker for cheese recipes. I’d be eating this right from the pan! LOVE comfort food meals like this. Perfect for the cooler fall weather that’s coming our way soon! This is like a Mexican version of mac & cheese – and that’s all good! This will totally be on my table when the cool weather hits. Total comfort food! And I love how easy it is! My kids would love this. I like the spicy twist on a family favorite. What a fun family meal. It has everyone’s favorites and the goulash looks fantastic! This would be a huge hit with my husband! I love that you include points of interest for your recipe! It makes it so much more appealing. I’ve never had this, sounds like a nice flavor combination!